Our custom wood door designs are not limited to the collections presented below. If you are seeking a custom garage door design, allow this to be a springboard to take elements of design and piece them together in your own unique way. Have you seen a door that appeals to you? Whether it's an old castle door or an interior door, we can redesign it into an upward acting garage door just for you. Need help choosing? Explore our wood options: standard wood, specialty wood, and recycled or reclaimed wood. 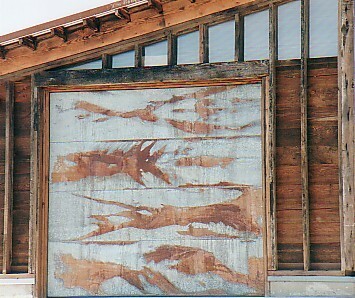 We also do metal applications, acid washing, distressed finishes and more. Note: Each Collection 9w x 8h door will have a starting price. Many factors such as windows and wood type will vary the price. Prices are subject to change at anytime. Doors are available in Custom & Commercial Sizes. Design Dimensions will change with size of door. Starting prices include all track and hardware. Low Head Room Available. Doors available in insulated or non-insulated. Save time choosing which door is right for you. See our garage door selection tips. Want to accessorize? See door hardware and glass window options. Complete our Free Estimate Form now. 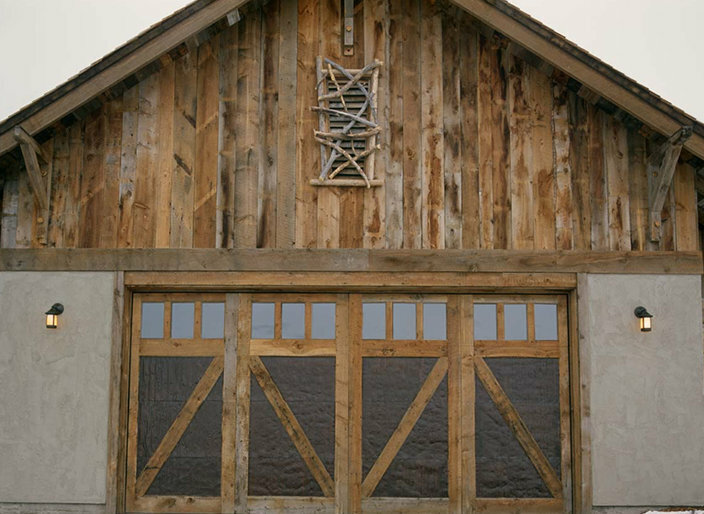 "We are very happy with the custom wood garage doors- great workmanship! Feel free to use the pictures for advertising. I would not hesitate to be used as a "satisfied buyer" if any one desires to call. "